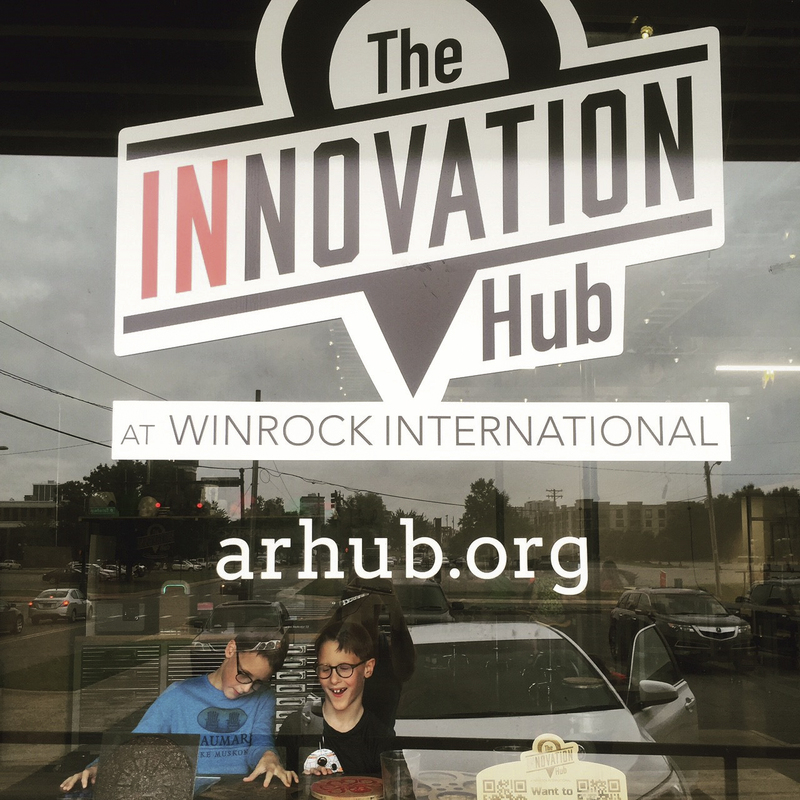 How Winrock’s Innovation Hub is making a difference in North Little Rock… and the world. Joel Gordon grew up in North Little Rock and remembers a time when its downtown area — dubbed Argenta — was “the area of town that you tried not to be caught in.” These days, though, Argenta is “absolutely blooming.” Gordon, now the executive director of the Innovation Hub at Winrock International, is seeing the neighborhood come alive. On July 31, THRIVE, an up-scale developer based in Bentonville, Arkansas, will break ground on its Argenta complex, a mixed-use retail and residential space. The site? Directly across 4th Street from the Hub. Hub Executive Director Joel Gordon works with a young entrepreneur. 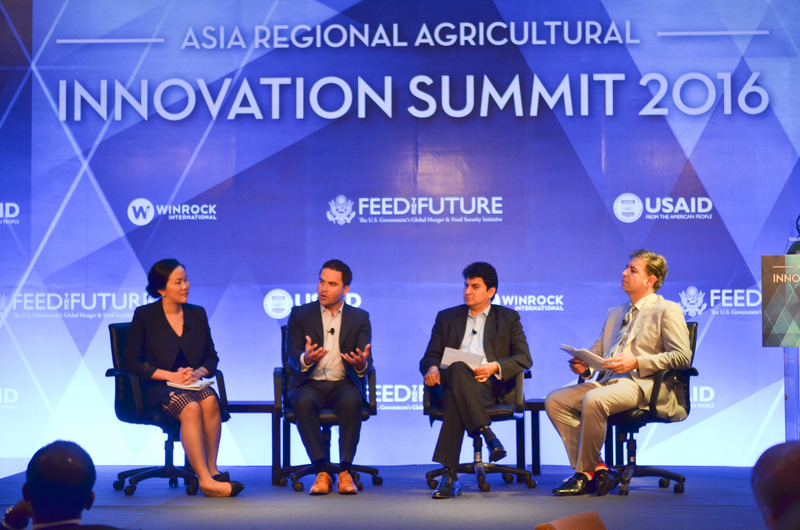 Hub founder and current director of US Programs Warwick Sabin speaks on an agricultural innovation summit in Bangkok, Thailand in 2016. Winrock’s Feed the Future Asia Innovative Farmers Activity. Winrock President and CEO Rodney Ferguson says that while these efforts may seem far-flung, they’re all in keeping with the same core Winrock mission. Of course, the work in North Little Rock continues, but with this broader outlook in mind. The Hub’s latest emphasis in programming? Supporting micro-manufacturers — small-scale makers who need a boost. As Gordon explains, micro-manufacturing is a new way of thinking about industry. In the typical model, communities invest resources — money, acreage, building space, etc. — in outside companies, but they often get precious little in return. “Maybe they’re going to hire 150 people, and then maybe if you’re lucky they’re going to stay there for five or 10 years, and then they’ll move on,” he says. 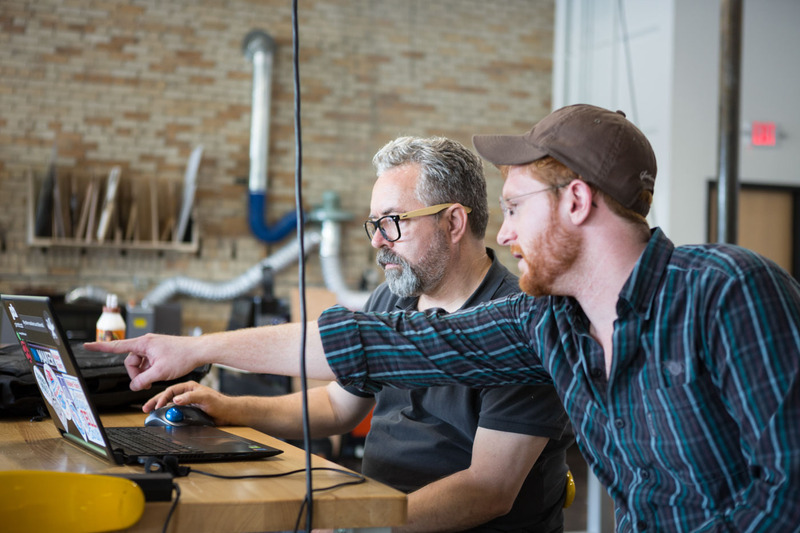 Many Etsy entrepreneurs struggle to meet demand for their product, whether due to lack of time, or equipment, or both. But with access to a space like the Hub, these small-scale makers can speed up and simplify their manufacturing process, scaling up their business and making more profit. “This is local business developing a local market, but bringing money in from all over the world into your town,” Gordon says. It’s all part of a key Winrock principle: increasing economic opportunity, both around the world and right here in our own backyard.